Things are really winding down here in Vancouver, with colder nights, falling leaves, abundant spiders, and a distinct lack of bees, wasps and plant-feeding insects. This is one of the more melancholy seasons for an insect lover, but there are still some treasures to be found. In the mornings, the dew sparkles on the webs of numerous orb weavers, such at this tetragnathid at Iona Beach. 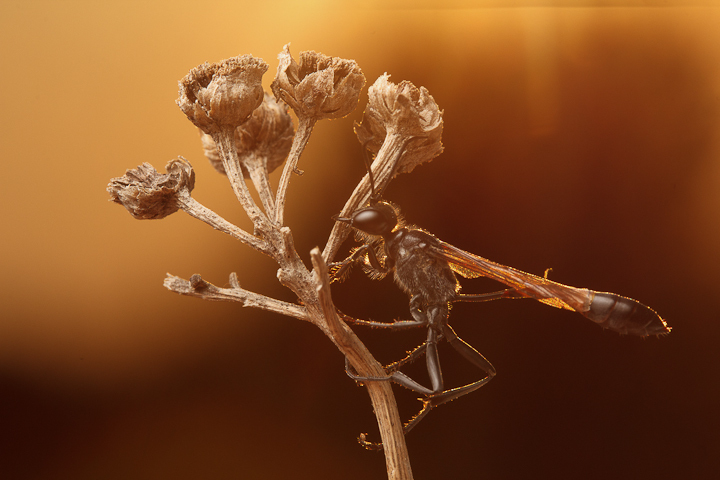 There are even some syrphids still about, although the floral resources are dwindling rapidly. Some spiders are still guarding egg sacs, keeping a lonely vigil despite their deteriorating condition. 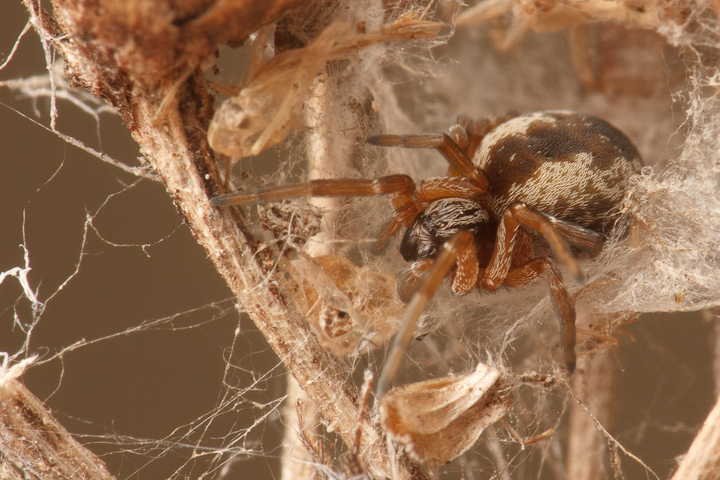 This Castianeira longipalpa looks a bit shrivelled. 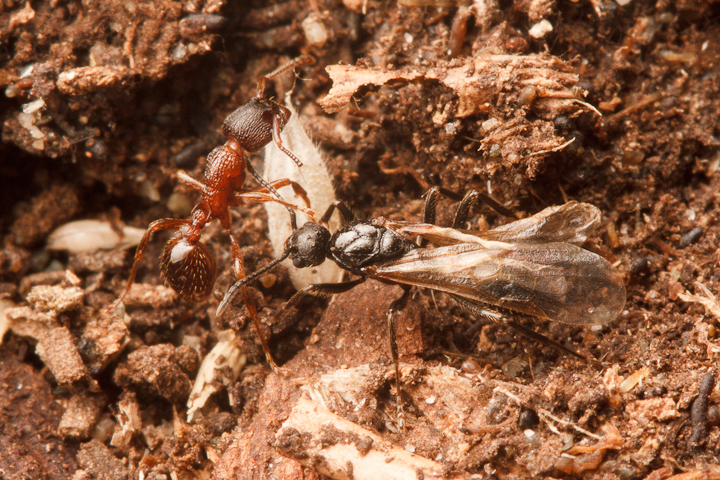 Odd to see a male of these Myrmica incompleta still in the nest! 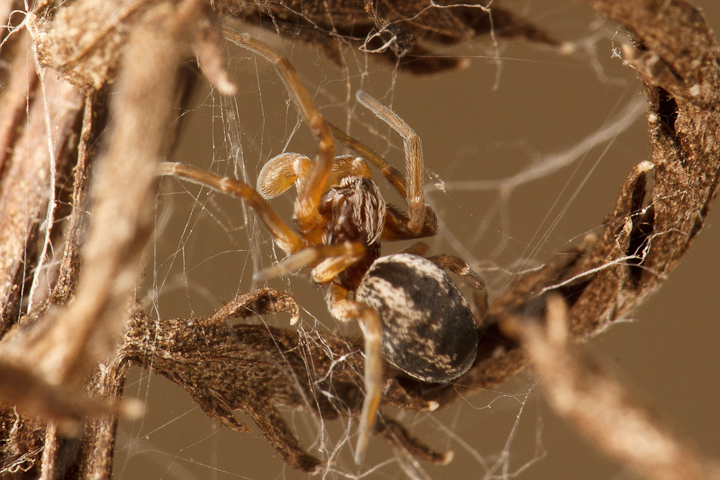 Some really odd, but abundant spiders…Could they be Dictynids? Check out the palps on this guy! these have a great pattern! 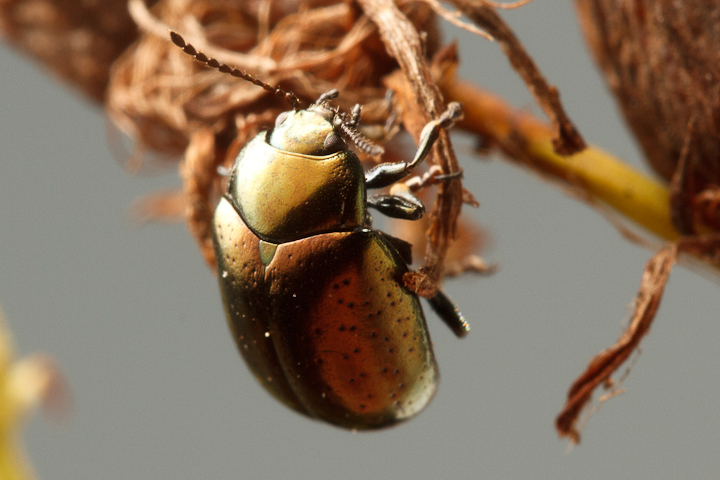 A gorgeous chrysomelid on tansy. Soon I will have no more of these lovely sphecids to shoot! 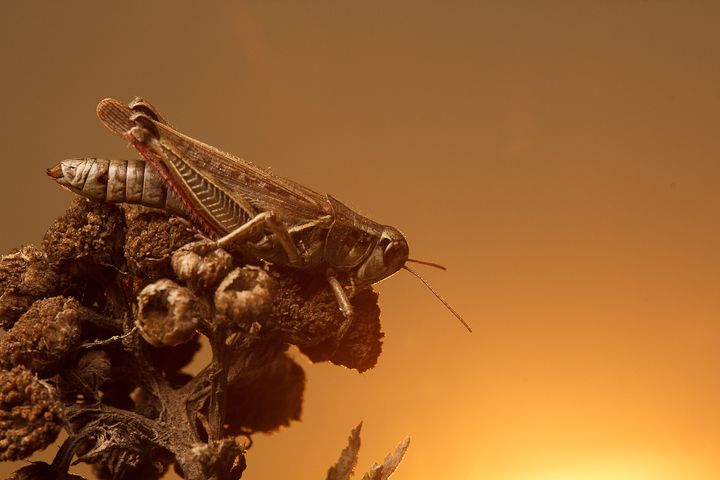 As the sun goes down on Iona Beach, this grasshopper contemplates leaner days and its inevitable demise. Lovely but melancholy pictures. 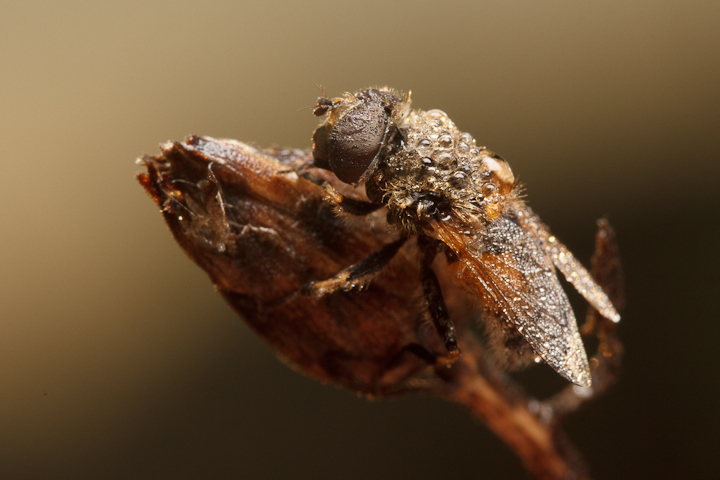 It is sad to see the bug season go, hopefully working on focus stacking will keep me sane through the winter! Yeah, it is somewhat sad. Now I have to switch to landscapes, birds and fungi. We have some arthropods though the winter though. Wonderful photos! The gold-brown light says fall perfectly. 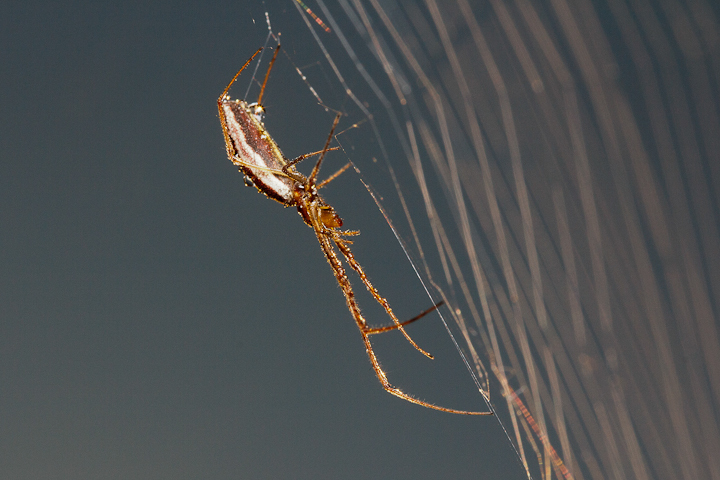 I’m happily surprised that there are so many spiders still out. Great job! Thanks! The spiders will last for a while, and there are always a few that stay through the winter here. It was great to see you and Catherine, even if we couldn’t get out shooting. 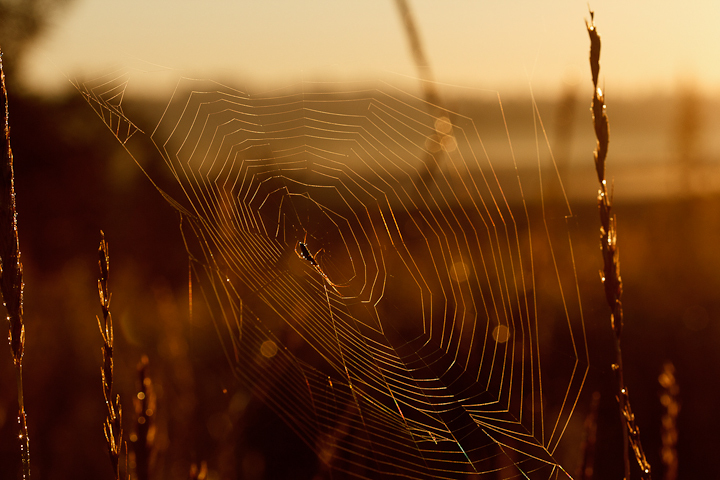 There were a few arthropods at Kernen Prairie yesterday, and the way the day got a bit sunny and (dare I say it?) warm (-ish; 14 C and windy) meant a few things were actually flying. I didn’t get a good look at anything except a couple of coccinellids and a rather large opilione that hurried out of the quadrat as we started clipping plants. Most of the plants have senesced by now, though the thistles (of course – it’s always the annoying stuff) seem to be doing fairly well. I’ll take you up on the offer to go on a bug hunt as soon as I can get to Vancouver. And of course the offer goes the other direction should you ever find yourself on the Prairies again. Thanks Martin! It was great seeing you too! I am back to the grind here in Vancouver, and it turns out I will have a bit of time to submit some manuscripts…Fun fun!